Chartered Institute of Plumbing & Heating Engineering (CIPHE) has expressed concern surrounding a growing and widespread public health issue hitting towns and cities across the UK. It is something which is more likely to affect women, the elderly, the disabled, those with medical conditions as well as those with babies and young children. It’s a problem, that due to funding and embarrassment, is often swept under the carpet, but one that makes a very real difference to the quality of life for the majority of population. It’s the issue of access to well-maintained, clean and hygienic public lavatories and their loss from the everyday landscape. While in some areas this has meant that larger councils have simply passed the burden of maintaining loos to smaller parish/town councils, or community groups, in others, the facilities have been closed completely. In these instances, good-natured local businesses will be relied upon to open their toilets to the public, but with no legal duty for them to allow non-paying customers access, what do you do when nature calls and there isn’t a public lavatory in sight? Any plumber worth their salt will know how vital toilets are to the health of the nation and so the CIPHE is calling on engineers to help back its ‘Love your local lav’ campaign, during the build up to World Toilet Day on 19 November. Kevin, Wellman, CEO of CIPHE, said: “Councils currently have no legal requirement to provide public toilets, and so when budgets need to be cut, the humble loo is normally top of the list. We believe this is fundamentally wrong. 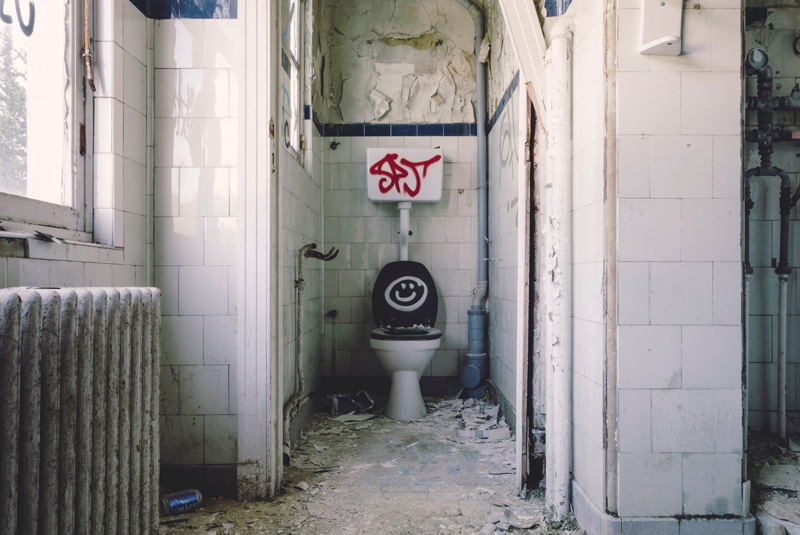 Public toilets should not be a luxury, they are a necessity, especially for the elderly, disabled and those with health issues such as Crohn’s disease or Irritable Bowel Syndrome. For those requiring changing facilities, parents and carers need somewhere safe, hygienic and well equipped with adequate changing tables and disposal facilities for nappies and wipes. With World Toilet Day taking place on 19th November, the CIPHE is calling on Government and councils across the nation to recognise the importance of public toilets. In particular it is urging councils to find the funds to keep these vital facilities open. Kevin continued: “World Toilet Day usually focuses on the plight of sanitation in third world countries, but there is an increasing epidemic on our own shores when it comes to the closure of public conveniences. CIPHE are asking the plumbing industry and the public to help spread the word via social media. This can be done by either sharing the CIPHE’s posts or creating your own by using the hashtag #LoveYourLocalLav and #SaveTheLoo. The CIPHE would love to see posts explaining why your local public facilities make a difference to your community and don’t forget to tag in your local council too! For more information on how to get involved visit our Love your local lav campaign page at www.ciphe.org.uk/loveyourlav.